It was a climactic weekend for UK politics, and we're now just months away from the summit with the European Union to decide on a final agreement for the UK divorce from the bloc. That meeting is set for October 18-19, and the proverbial plot has thickened as time draws closer to that looming date on the calendar. As we warned on Friday, a potentially contentious debate amongst PM Theresa May&rsquo;s cabinet was on the cards for later in the afternoon. We weren't even really sure what was going to be debated until details started to flow late Friday night/early-Saturday morning; well after trading had closed for the week. On a longer-term basis, the backdrop for continued weakness could be justified. But its noteworthy that we're basically in a digestion formation at this point: Prices broke-below the bullish trend-line that held the lows in the pair for the last nine months of 2017, and even helped to produce a support inflection in February. This bearish break of that bullish trend-line happened in May, and later in June, prices reflected off of the under-side of this trend-line projection. Since then, we haven't yet seen bears able to push down to fresh lows. We've seen both lower-highs and higher-lows, indicating digestion after the earlier-year pick-up in volatility. The Euro may be on the cusp of launching a sustained move higher against the British Pound after breaching nine-month trend resistance. 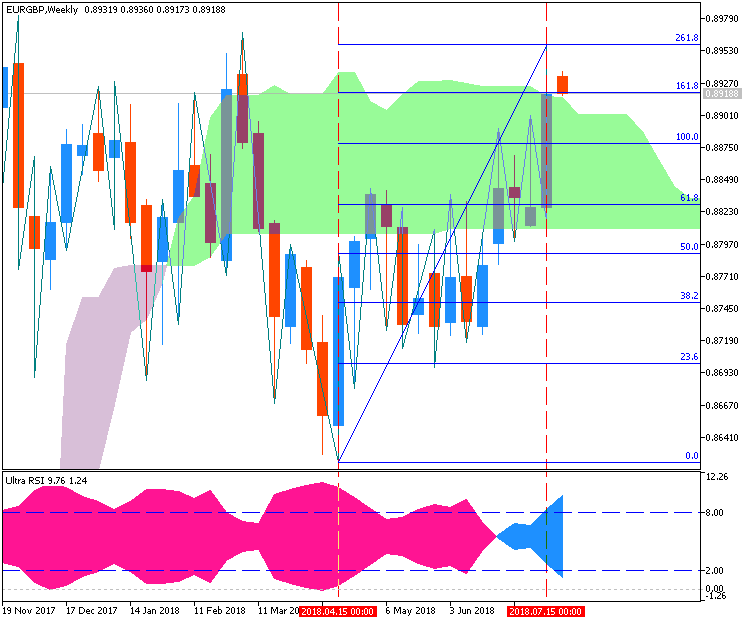 With the series of lower highs and lows established from October 2017 now invalidated, prices look poised to challenge the March 7 high at 0.8968. A daily close above that opens the door for a test of the October 12 peak at 0.9033. A look at shorter-term positioning seems to argue against buying in however. The four-hour chart reveals that the near-term uptrend has been broken, with a deeper pullback possible if the pair manages to get below 0.8924. From a tactical perspective, it seems premature to commit to commit on the long side before this retracement finds a demonstrable bottom. The latter-portion of last week saw a strong bounce develop in GBP/USD, and this came after the pair tested below a key psychological level for the first time since last September. 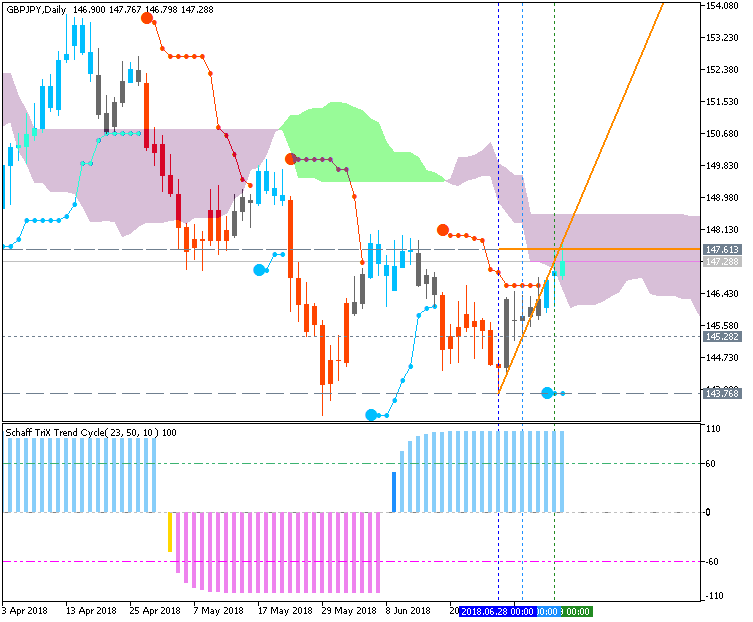 As we wrote earlier during the week, the down-trend in the British Pound was very much in-focus as we approached a read of inflation out of the UK for the month of June. Markets were looking for inflation to perk-up to 2.6% after two consecutive months at 2.4%, but the actual print gave us a third straight month at 2.4% to further muddy the water for the Bank of England. Inflation strength is no longer as prominent, and in the wake of last week&rsquo;s inflation report, prices dipped below the 1.3000 level for the first time since last year. But – as we wrote shortly after, GBP/USD was still very oversold. 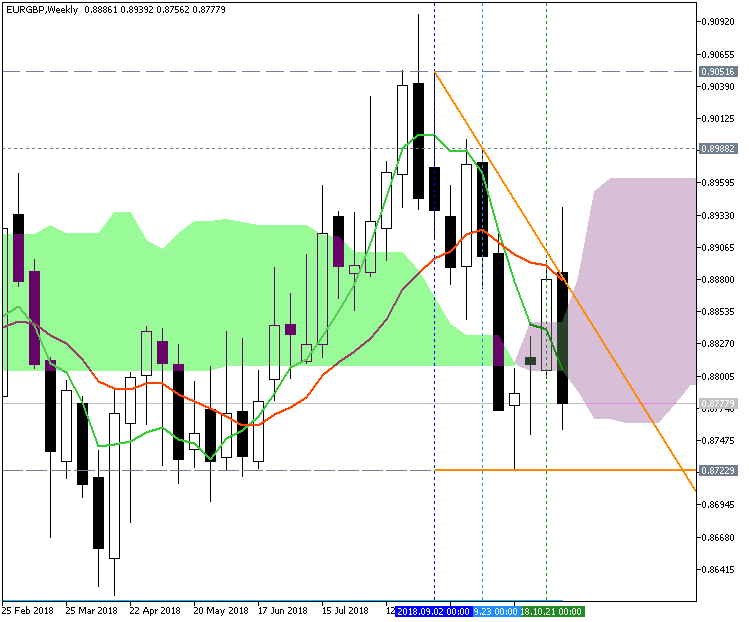 We looked for two areas of potential resistance may that could’ve opened the door for bearish strategies. 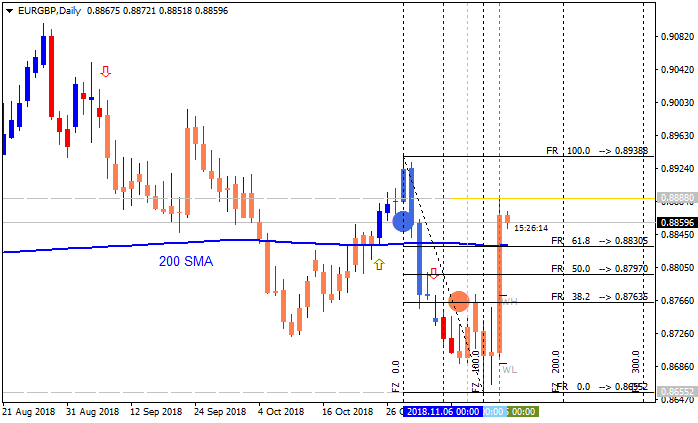 But – no resistance showed at either, and prices are now finding a bit of support on the zone that we were looking at that runs from 1.3083-1.3100. 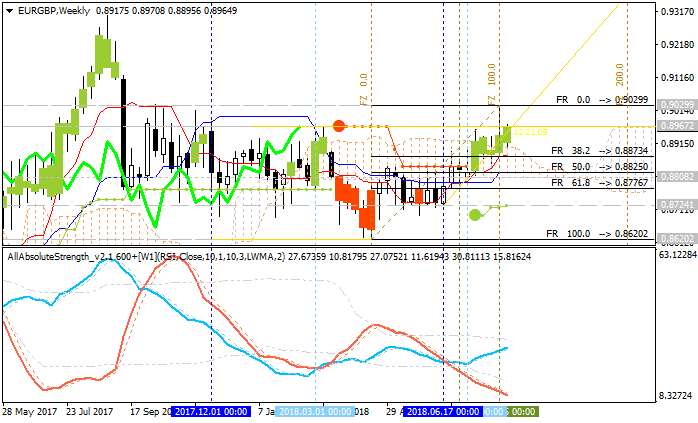 The Euro is attempting to revive its four-month uptrend against the British Pound after recoiling from chart resistance above the 0.90 figure. Prices now sit squarely at the confluence of the rising trend floor set from mid-June and a former upside barrier guiding the down move from October 2017, now recast as support. GBPUSD: Retail trader data shows 70.5% of traders are net-long with the ratio of traders long to short at 2.39 to 1. In fact, traders have remained net-long since Apr 20 when GBPUSD traded near 1.40482; price has moved 9.4% lower since then. The number of traders net-long is 4.5% lower than yesterday and 7.3% lower from last week, while the number of traders net-short is 1.6% lower than yesterday and 9.7% higher from last week. It's been a climactic past month of price action in the British Pound. As we walked into the final week of August, GBP/USD was continuing to hold on to the sell-off that had driven the currency for much of the prior four months. 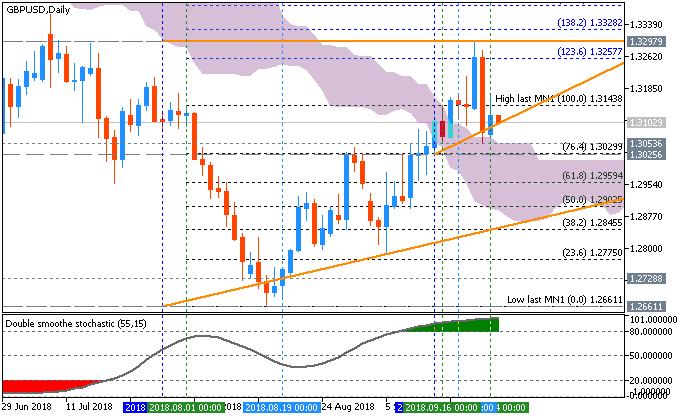 Prices had just sunk down to find support at the 23.6% Fibonacci retracement of the Brexit-move, and this was a more than 1,500 pips away from where the pair had topped-out at in mid-April. There was little by way of positivity at the time. The first half of August was particularly brutal, when a BoE rate hike early in the month served to only hasten the declines. 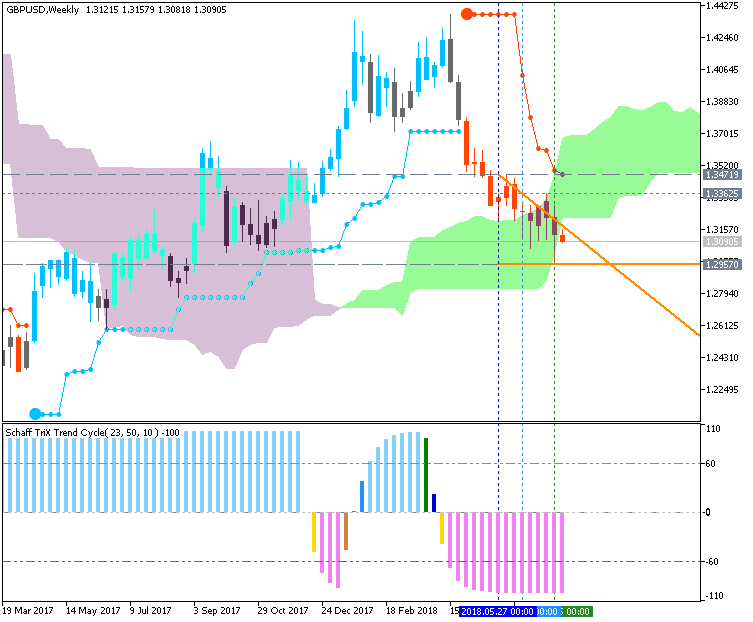 Sellers remained in-charge as a very uncertain future defined the outlook for the British Pound, and there was little apparent hope as Brexit negotiations drew near. 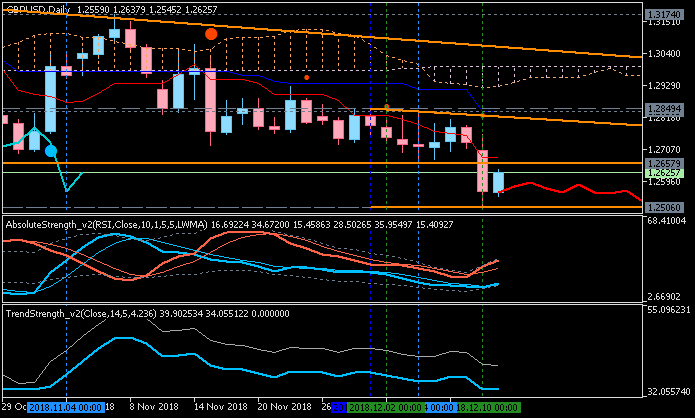 We started to look at bullish setups in GBP/USD in mid-August largely on the basis of just how negative everything had become; looking for prices to pullback in the down-trend after oversold readings began to flash on both Daily and Weekly RSI readings. Looking at the weekly chart below, the pair is on course to forming a quite rare falling three method bearish candlestick pattern. Progress to the upside in the pair was impeded by a rising range of support from April (red parallel lines below) which reestablished itself as new resistance. Confirmation of this formation would require a weekly close under the October 15th candle and this might be the case in the near-term. For EUR/GBP, multiple resistance barriers were knocked out within a span of 24 hours. But on the daily chart, we do have the formation of what appears to be a new descending trend line dating back to August. For the time being, this may keep the dominant downtrend since then intact. A push above the line would open the door to overturning the downtrend. However, this would require ascending through the October high at 0.89394. Until that target is reached, a lack of confirmation would prevent arguing that the pair may be heading for a lasting uptrend. Should Brexit volatility manage to drive the pair beyond that, the next area of resistance to test would be the rising range of support from April. Meanwhile, should the Euro start losing ground against the British Pound again, near-term support appears to be the 38.2% Fibonacci extension followed by the 50% midpoint at 0.87518. Beyond that, EUR/GBP will have to manage descending through the current November lows. This is composed of a range between 0.86683 and 0.86983 which combines May and March lows. 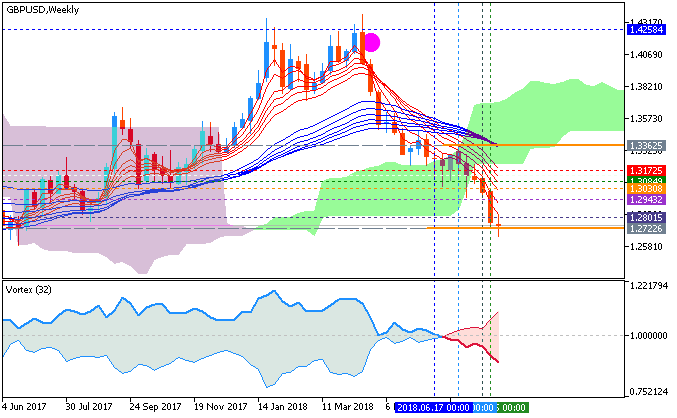 GBP/USD has put in a bearish move to start the week, pulling up shy of the 1.2500 psychological level as the pair tumbled down to fresh 18-month lows. At the source of the selling was another negative headline around Brexit as Theresa May called off this week’s Parliamentary vote. This adds an element of chaos to an already uncertain situation, and the net response from traders was a 200+ pip sell-off as additional uncertainty was incorporated into GBP prices. With the Brexit backdrop as opaque as it’s been since the referendum, it’s become increasingly difficult to muster a bullish prognostication for the British Pound. But – with all currently known facts GBP bears have been yet unable to break through the 1.2500 level, and this is something that should be taken into consideration by those investigating short-side strategies. Risk management can be difficult given the pair’s proximity to recent resistance. I look at an area for potential resistance to go along with the potential for short-side breakout strategies on breaks-through the 1.2500 psychological level.